* Units with stainless steel fittings are also available. Add "SS" to part number. Removes carbon dioxide to less than 0.5 ppm. Inlet and outlet fitted with 40 micron stainless steel frits. Reaction with carbon dioxide indicted by color change from white to violet. Inlet and outlet connections are 1/4” or 1/8” stainless steel compression fittings. Operating pressure: 125 psig max. Gas traps should be mounted in a vertical position to ensure proper contact of the gas with the adsorbent. 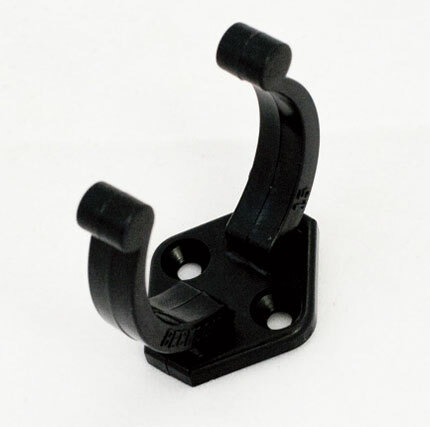 Use model 6400C or 8040C mounting clip with 6400 Series carbon dioxide trap.